John B. Williamson is a professor of sociology at Boston College. His primary research interests include aging policy and the politics of aging with a focus in recent years on Social Security policy, the proposed privatization of Social Security, and the comparative study of old-age security policy. 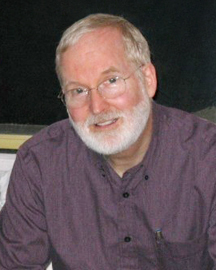 Professor Williamson has published extensively in journals and has edited or authored more than a dozen books. He has served on the editorial boards of several journals and has been a reviewer or editorial consultant for numerous publishing houses. Professor Williamson has also presented his work at numerous conferences throughout the world and has chaired a variety of research committees. Dr. Williamson earned his B.S. in humanities and science from the Massachusetts Institute of Technology and his Ph.D. in social psychology from Harvard University. Why Do Japanese Workers Remain in the Labor Force So Long?